- Conversation with Ms. Charu Sinha, Deputy Inspector General of Police, Anantapur range. Ms. Charu Sinha is a young law enforcement officer with senior professional credentials in the state of Andhra Pradesh, India. In 1996, she was selected to the prestigious Indian Police Services or IPS. Her work experience spans across the vast state of Andhra Pradesh in South India. Currently she holds the position of Deputy Inspector General of the Anantapur range, a fairly vast geographical area, covering about 37000 square kilometres, a jurisdiction which is larger in size than countries such as Switzerland or Israel. Three very important districts fall under the Anantapur range - Anantapur, Chittoor and Tirupati, with the combined population of about 8 million people. In her position as the DIG of this range, Ms. Sinha, guides, advices and supervises the three district Superintendents of Police in law and order enforcement. Her current posting holds a very special place in her life as the holiest places in Andhra Pradesh, namely, Tirupati and Prashanti Nilayam, fall within the jurisdiction she oversees. This police officer is passionate to transform her work into her worship raising her duties to a new level of love and order. 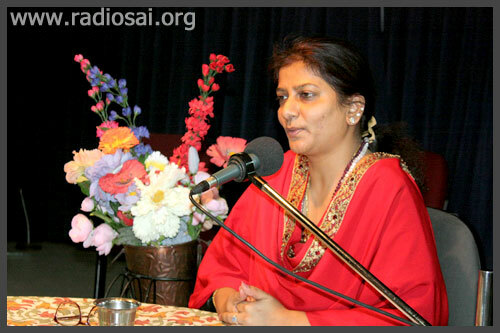 Reproduced below are excerpts from her interview for Radio Sai, recorded in our studios in August 2010. Radio Sai (RS): Sairam Ms. Sinha and welcome to Radio Sai. Ms. Charu Sinha (CS): Thank you for letting me share light and love with everybody. RS: It’s a pleasure to have you. For a young person, you sure are quite an over achiever if I may say so. Yet your success story is a far cry from the account of your childhood that you shared earlier with our readers in Heart2Heart (refers to the article: An Amazing Personal Transformation... From Me to Myself"]. In that you wrote: “As a child I had a disturbed childhood. I never knew how it was to be carefree; I was very shy, sensitive and scared of everybody and always felt unloved. I wanted to be loved unconditionally. It was a heartfelt desire of a sensitive child, who was badly hurt by the insensitivity and constant comparisons by the people around.” How did this sensitive, withdrawn and scared child transform into a successful and confident IPS officer? CS: I would put it this way: in this dream called life, we all play different personalities and in this life, mine was that of a sensitive, quiet and shy girl. But yes, there has been a transformation and obviously I attribute it to Baba. As a young girl, I loved the story of Dhruva. Like him, I wanted to sit on the lap of God. I wanted a God I could see, talk to, confide in and laugh with. I wanted a friend like Krishna; I was His devotee. To me God meant a companion and a guide. Then in 1989 when I was 19, my father’s German friend Frank introduced me to the book “Autobiography of a Yogi” and from there my spiritual quest began. I had never exactly doubted the existence of God, but I wanted to feel, experience and find my own personal God. That same year, my father brought us to Puttaparthi. Not all of us start believing in Baba when we see Him for the first time. So the years from 1989 to 1996 were years of doubting, questioning and testing; the period of observation to see whether Baba really responds or not. In 1996, I was selected for the Indian Police Service (IPS). Six months before my selection, Baba came in a dream and told me that as I was strong and capable, He was selecting me to protect something. And that later turned out to be the IPS; this really turned me to Him completely. Then my training at the National Police Academy began; this is one of the toughest you can imagine. For a person who has always been into studies and not much of an athlete, it was quiet a job. We had to do push ups, front rolls, back rolls, rope climbing, cross country running, drill, marching, swimming and horse riding; it was gruelling. He was selecting me to protect something. And that later turned out to be the Indian Police Service (IPS). RS: How did you cope with it? CS: I had a lot of fractures and bruises, and breathing problems too. Every day during that training I would constantly chant 'Baba, Baba…' and repeat 'Aum Sri Sai Ram' with every step while running. It was Baba who took me through that entire two year training and also a very difficult one with the army and the paramilitary forces. I saw the first field encounter between the terrorist and police at Jammu and Kashmir during that time, which was an amazing experience in itself. So, all thanks to Swami! RS: As you went through this journey of arduous training, did you have any self-doubt? Did you wonder whether you were doing the right thing or not? 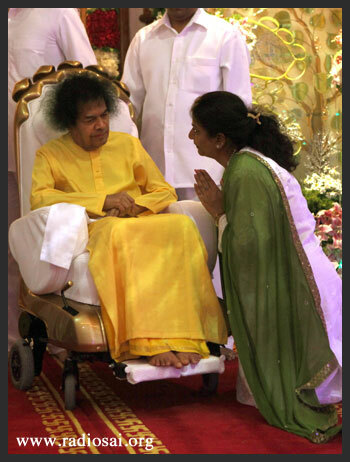 Was there any affirmation from Swami? CS: It was never a matter of doubt because it was something Baba had selected for me and so it had to be done. But it was a matter of diffidence. I was not sure then whether I could do things the way Baba wanted me to do. Over the years though, the experiences that Baba gave me and every situation he put me in has brought in more and more confidence. RS: You hold a very high position in services that are typically male dominated. Being a young lady, it must come with its own set of issues. Is it in any way an extra challenge? CS: In the IPS in Andhra Pradesh, only about 5% are women officers. And you will be surprised to know that at the constabulary level, it is even lesser - about 1.2%. So that does make it a very male dominated service. When we join the service, subordinates and superiors definitely do not start believing in us immediately. Initially, there is a lot of judgementalism and each and every act of ours is put under the scanner. We have no personal life in this job. For any woman in the IPS, it takes a minimum of three to four years to establish herself. Also, the initial shock of policing is something that really unsettles you. The culture is very different from what you see in the corporate world or any other job. You deal with the underbelly of the society. You see the different social values of people from several sections of the society; the deceit, the lies, crimes, the insensitivity, and the convenient interpretations of truth. You also see what motivates people to commit crimes and that the line of distinction between right and wrong, good and bad is so subtle that people try and justify every act of theirs. Morality is brushed aside completely. ruthlessly honest and to stick to the truth, come what may. RS: In this savage environment, how do you find your sanity and make sense of your world? CS: There is one simple answer. In all these years of my dealing with criminals, seniors, subordinates, the press and the political leaders, I have found that the easiest way to handle any situation is to be absolutely straight forward, ruthlessly honest and to stick to the truth, come what may. This is the only thing that has taken me through all these situations that I found myself in. RS: That pretty much resonates the press reports I was reading about your performance as the no-nonsense, upright police officer, Ms. Charu Sinha. That takes me to my next question. As an IPS officer, you have to make a lot of critical decisions and sometimes they have to be done on-the-spot. 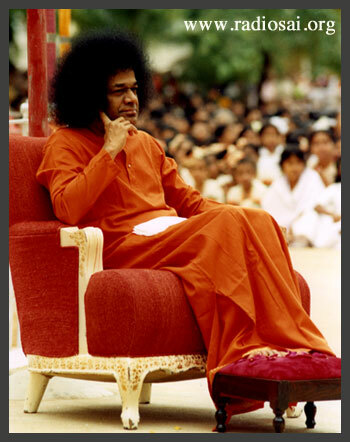 How do you incorporate Bhagawan's teachings in your decision making process? CS: Initially this was my problem. And Baba in His guidance to me through dreams and various other methods had told me that my decision making was very slow and I had to be faster. There were times when I would take a few days to decide upon a criminal case simply because I did not want to make a mistake. When as a police officer you make mistakes, it really affects people badly. Arresting an innocent person or letting a criminal go scot free are both serious blunders one can make. So when Baba would tell me that I need to be faster, I would retort, “But Baba this is so difficult. I do not know what to do in this case. How do I decide who is telling me the truth and who is lying? How do I judge a criminal?” At that time, Baba told me a very important thing: judge the deed and not the person. And I found that His words solved my dilemma to a great extent. RS: Were there instances where you had to take very difficult decisions and call upon your inner forces to guide you? CS: Once when I was the SP (Superintendent of Police) of a district, four of my officers were kidnapped by extremists who were on a rampage in that area. One of those kidnapped was a sub inspector, and the others were constables and home guards. These extremists put forth a number of highly unreasonable and unlawful demands for releasing our men and it was very clear that we would not be able to meet these demands at any cost. We were also not sure if these four would be released because in the past whenever the extremist kidnapped anybody, we received only dead bodies. So I did something I believed in; I started praying. I also taught the families of these kidnapped men to pray to whomever they believed in. Ten days later, all the four men came walking out of the forest. This was unprecedented in the history of extremism. Without our satisfying a single demand of theirs and paying any amount as ransom, these men just walked out of the forest. Even they did not know why they had been released. RS: So, that was a direct experience of the power of prayers. How did you develop the confidence that you now have, when you take quick and important decisions? CS: This confidence has not come in a day. I have found lessons to learn from, in each experience that Baba has given me. On my part, the only thing I did was to be more open to what Baba was teaching me through these different situations. I took every experience as a lesson and every experience added to my growing confidence. There were simple issues, for instance there would be inspectors and sub-inspectors who would talk something to me and something else behind me or subordinates who would not listen to me. There were some who felt that I was new and didn’t know the job. So, I had to evolve my own style of functioning after assessing those working under me and the situation at hand. Baba told me a very important thing: judge the deed and not the person. RS: You have to be a very good judge of character. CS: Absolutely. But imagine, we are always taught not to be judgmental, but my job demanded that I judge and understand people quickly, and then evolve my strategy for functioning. So over the years what I have learnt is this: Judging on one hand and then detaching myself and being non-judgmental on the other. CS: It is paradoxical. But I would say it’s a learning experience as well as a spiritual training. Once, in a district where I was an Additional Superintendent of Police, extremists were going around blasting places, robbing banks and indulging in vandalism. And we were chasing them down. It was imperative at that point of time that I arrest them immediately. We were after them for about a month but there seemed to be no help from people around or any clues that would lead us to them. Yet again, it was prayer that came to my rescue. After I prayed fervently to Baba, all these people, ten of them, came to the police station and surrendered on their own. RS: Your prayers just pulled them to the police station! CS: Absolutely! Then once it so happened, my successor in a posting I had held was destroying the system I had built up with so much care. Initially I was taken aback. But from that incident, I understood that I needed to accept such happenings in order to learn how to detach myself from my work. I used to be very emotionally involved and very attached to my work. Another lesson that Swami taught me about people was that I must not look at any one quality and judge a person. Sometimes when people are very nasty to us or when we have just one or two interactions with them and both happen to be negative, we jump to conclusions that the person is rude or mean. Swami taught me that I must not look at just that one quality, but must try to see the person in entirety. RS: And that helps you deal with them? CS: It helps me not to close my heart to them. As an SP in a district, I have on an average, 80 to 100 people coming from different villages to meet me to discuss and talk about their problems. It doesn’t work if I do not have the patience to listen to them and if I do not try and understand the unsaid things they communicate. A cut and dried solution doesn’t exist for all problems. Dear Reader, did this article help you in anyway? Please share your feelings with us by writing to [email protected] mentioning your name and country.Thank you for your time.